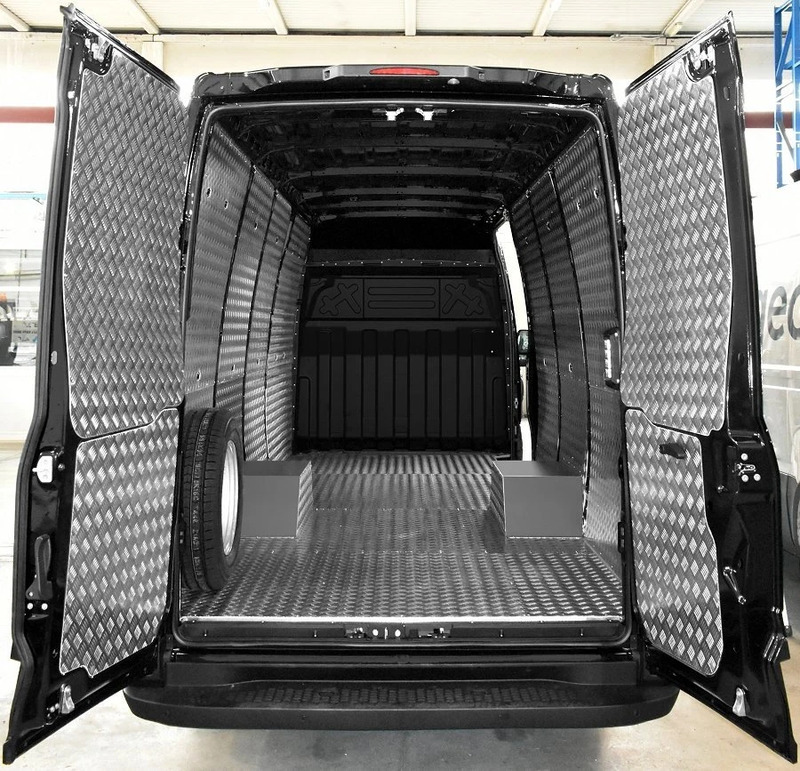 Iveco – after some years – decided to completely renew its old workhorse …the Daily. 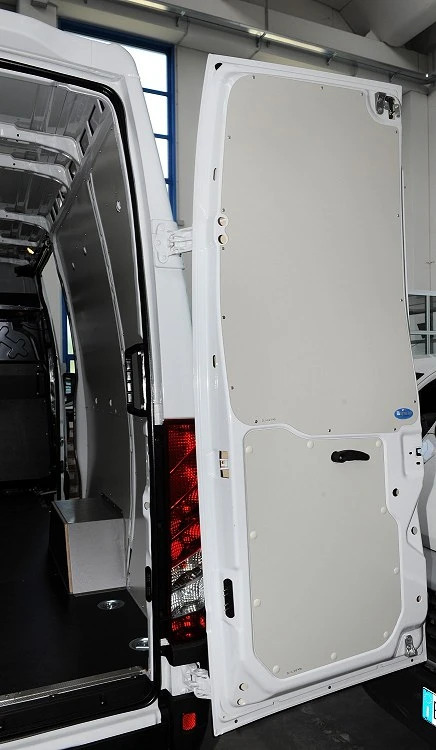 In addition to a revised motor, mechanical parts and modernized cab, the overhaul also includes the cargo space - though the wheel arch covers and bulkhead dimensions remain the same. 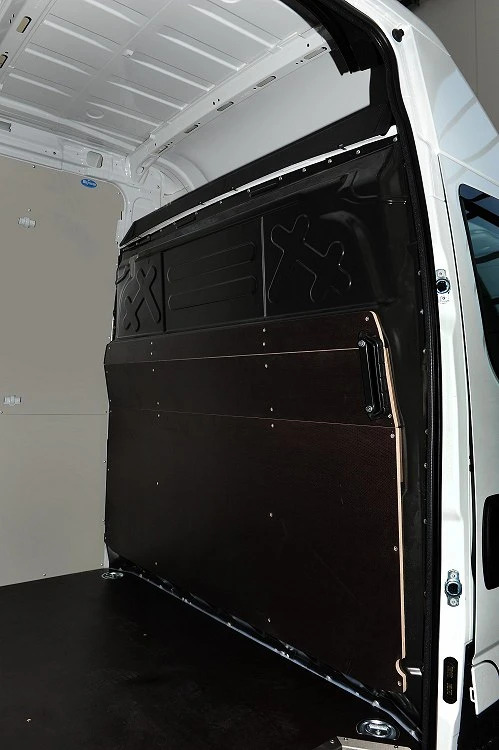 Take a look at the latest pictures of the new Daily van with plywood bulkhead and floor panel, and pre-coated galvanized sheet paneling for the walls and back doors. By now, we are familiar with the main characteristics of the Syncro brand: the wooden floor panel is made of special 12 mm resin-coated plywood complete with recessed anchorage points and steel borders. 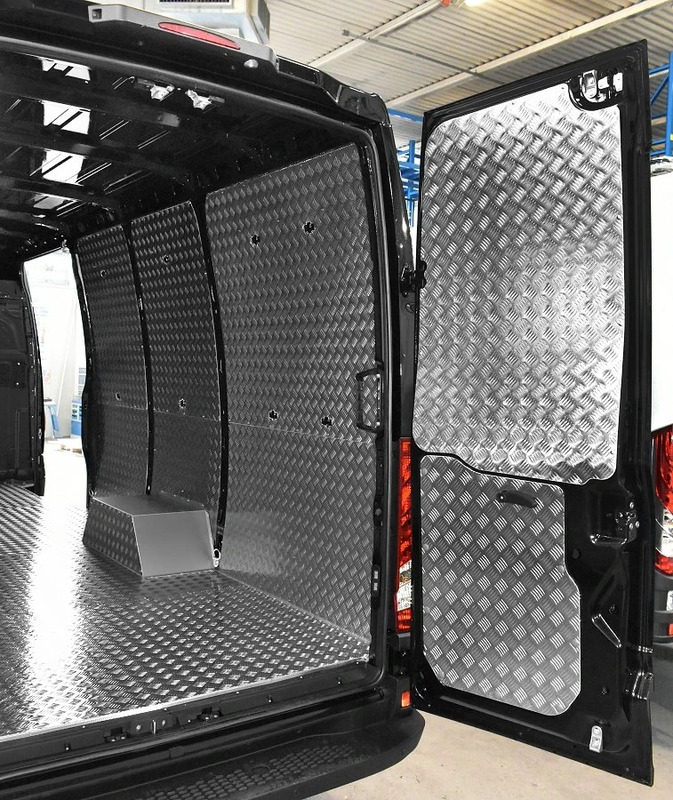 The interior paneling consists of tough, pre-coated, galvanized, laser-cut sheet metal. All material is durable, lightweight and easy and fast to install. All materials and products can be ordered through the network of Syncro System centers. 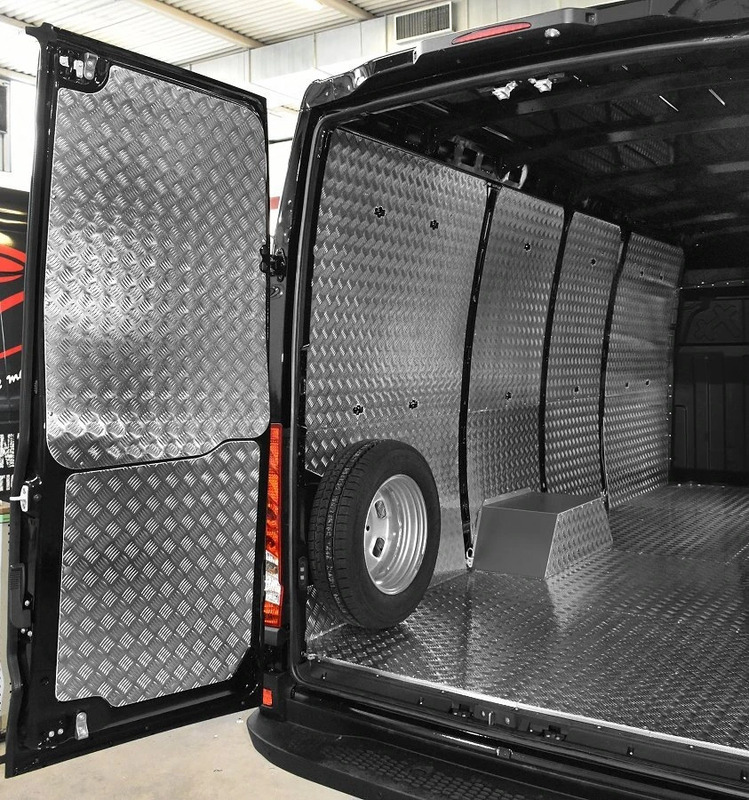 Available from Syncro System – interior protective paneling for the Daily 2014: floor panel, linings, wheel arch cover, bulkhead protection, protective door and wall panels.